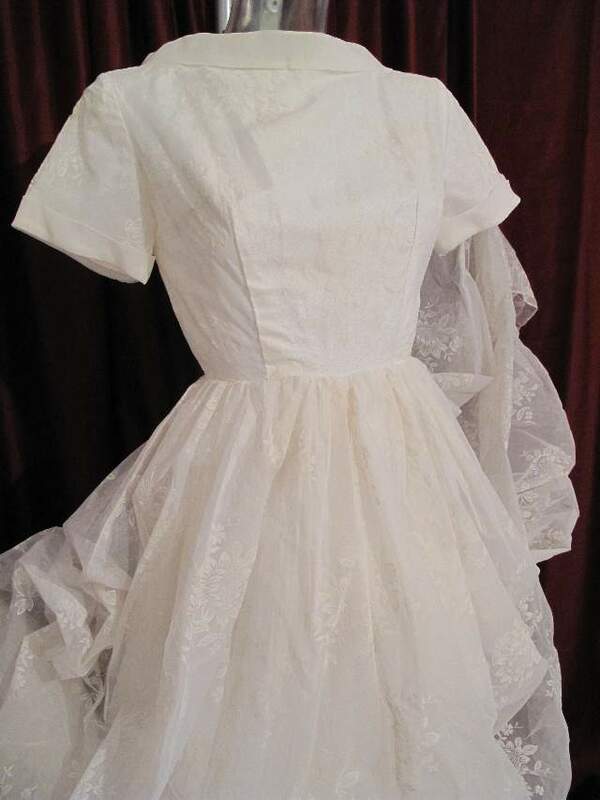 1950's Ivory flocked nylon organza full skirted vintage wedding gown. 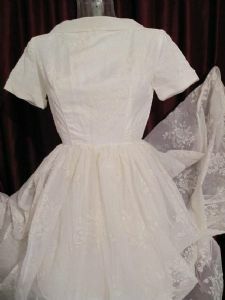 The fitted bodice has a boat neck with shawl collar and short sleeves with turn back cuffs. 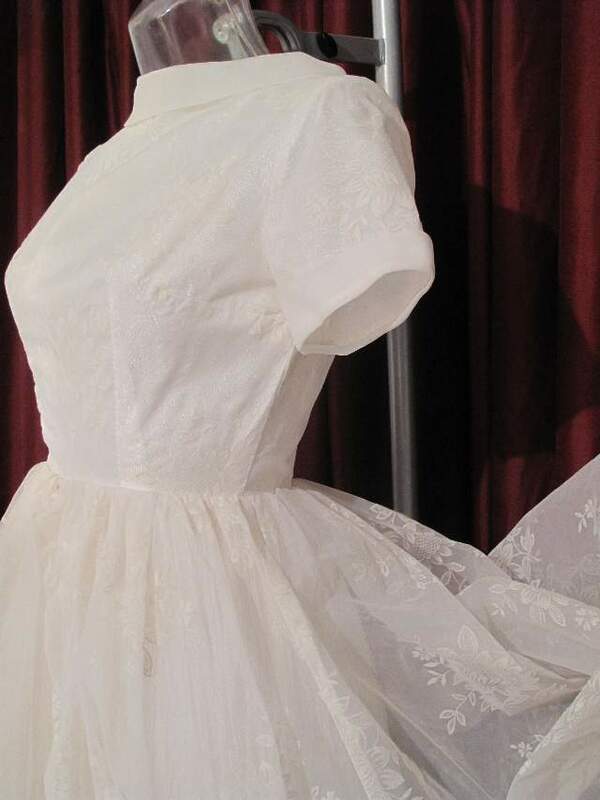 The nipped in waist has a full gathered skirt with a layer of tulle, a layer of acetate and a layer of stiffened vilene, this all all gives a full 'Dioresque' silhouette. 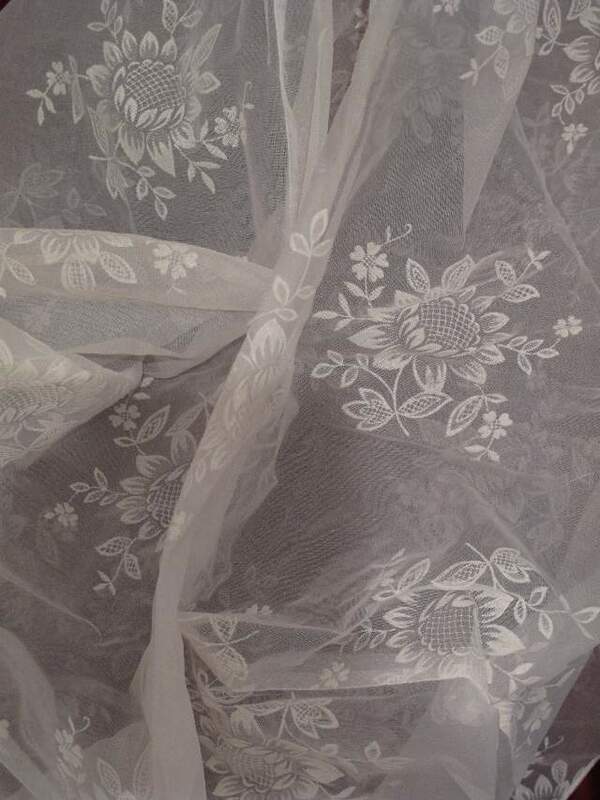 The fabric is fine nylon organza with a cream flocked print of floral sprigs. The effect is very Grace Kelly, extra petticoats would add to the drama.